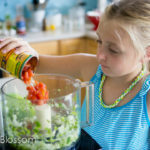 The Ultimate Kids' Cookbook cover reveal and sneak peek! 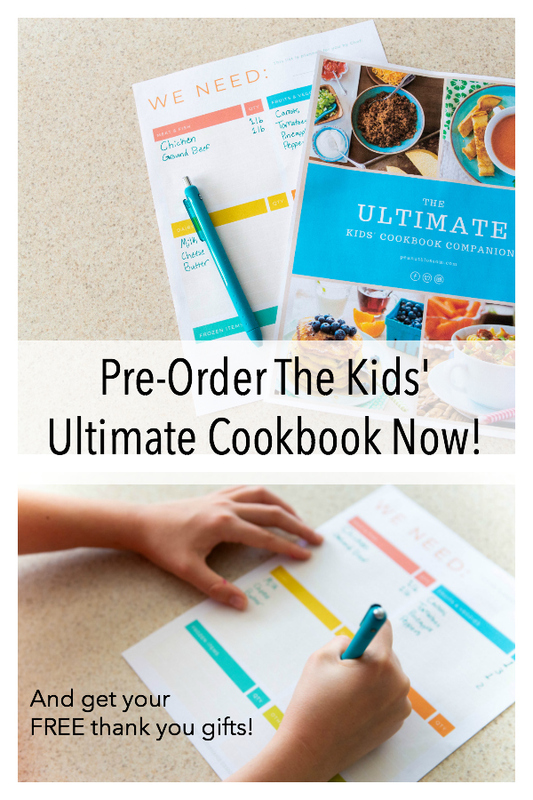 The Ultimate Kids’ Cookbook is now available for pre-order! 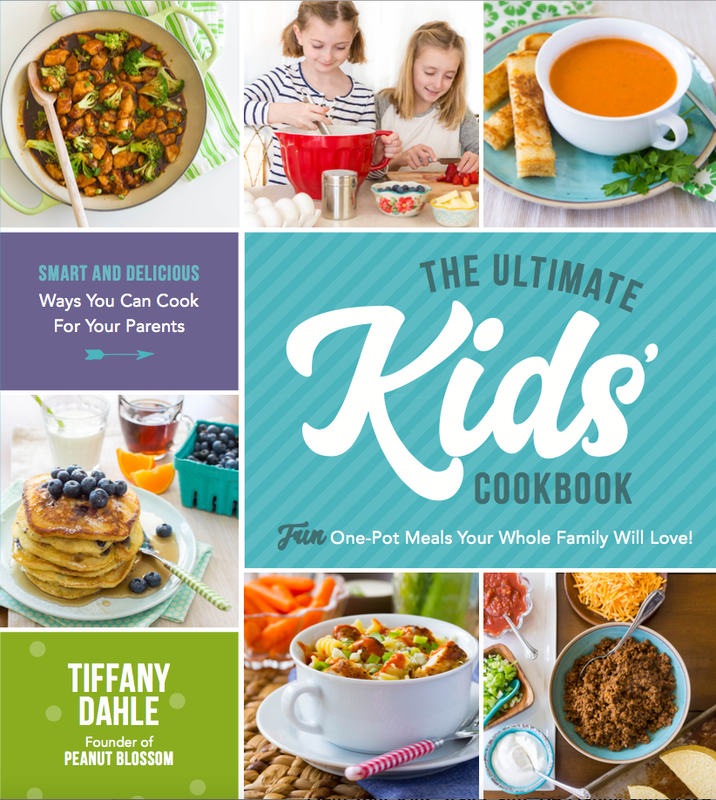 I’m so excited to share the cookbook cover reveal and an inside peek at the awesome kid-friendly recipes your family will enjoy when the book launches on August 21. Get all the ordering details and a special thank you gift right here. See those two joyous faces?? Those are the faces of children who have put up with weeks worth of photo chaos and multiple photo sessions in an attempt to get just the right picture for their mom’s first cookbook. Those are the joyful hands of girls who nailed the photo at long last and have been told our work is done! Friends, I never ever guessed what it takes to produce a cookbook. Months of my life passed by in a blur of food and photos and editing. By the time the smoke cleared and I raised my head to look around, it was the end of March! Now that my heart rate is returning to normal, I am SO EXCITED to finally be able to share the cover of The Ultimate Kids’ Cookbook with you and a fun little sneak peek of what you’re going to find inside when the book launches on August 21. Could someone please call for a drumroll?? Isn’t it just so pretty?? They picked some of my favorite recipes for the cover and it is a crazy thrill to see the Peanut and Little Pea on the cover. I love cookbooks. It’s an addiction, really. I’ve bought most of the ones made for kids you’ll find on the market and I was disappointed in almost all of them. 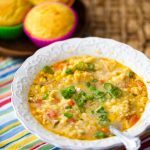 I put my daughters in the driver’s seat and thought about how I could explain each recipe in a way they would understand and connect with. 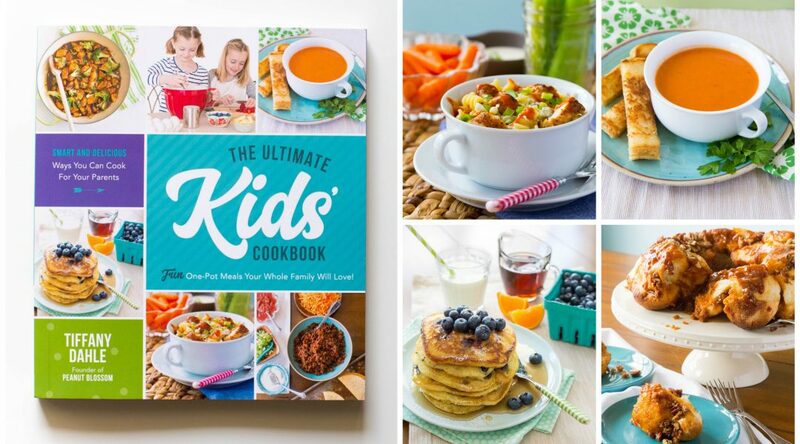 The Ultimate Kids’ Cookbook is perfect for kids ages 6 and up. It has a gorgeous brightly colored design that both your sons and your daughters will love. Want to see a sneak peek of a few of the pages?? 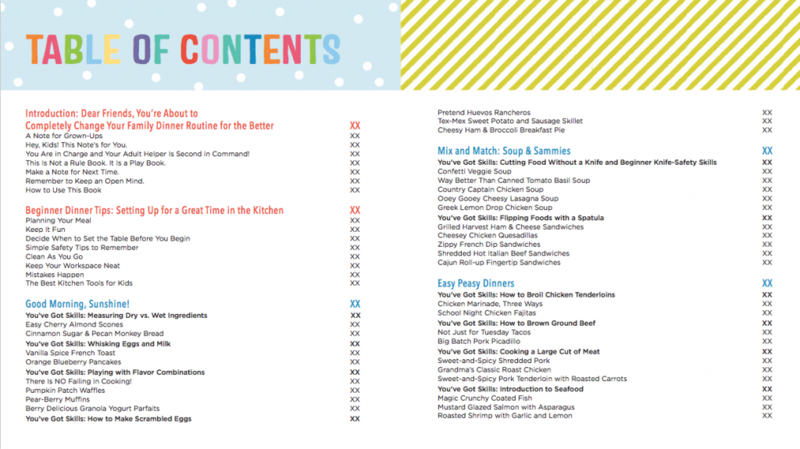 As cute as the table of contents page is, it’s the recipe instructions pages that are truly special and unlike anything else you’ve seen in a cookbook for kids. I can’t wait to share them with you!! I love how playful and fun they designed the book. Kids won’t be able to keep their hands off of it. And the best news is that I have a free gift for you if you pre-order the book right now! I wrote a companion eBook and designed a grocery list planner for your kids that will work perfectly with the book. 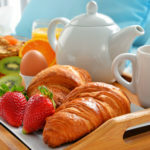 I will send you the full bundle for FREE, get all the details here. I’m so excited for you… and I’m excited to receive my copy. I just pre-ordered now. This sounds great. I like the way you’ve framed it around skills… it’s so important to teach children to cook. Thank you for the sneak peak. And yes! Those faces are adorable!